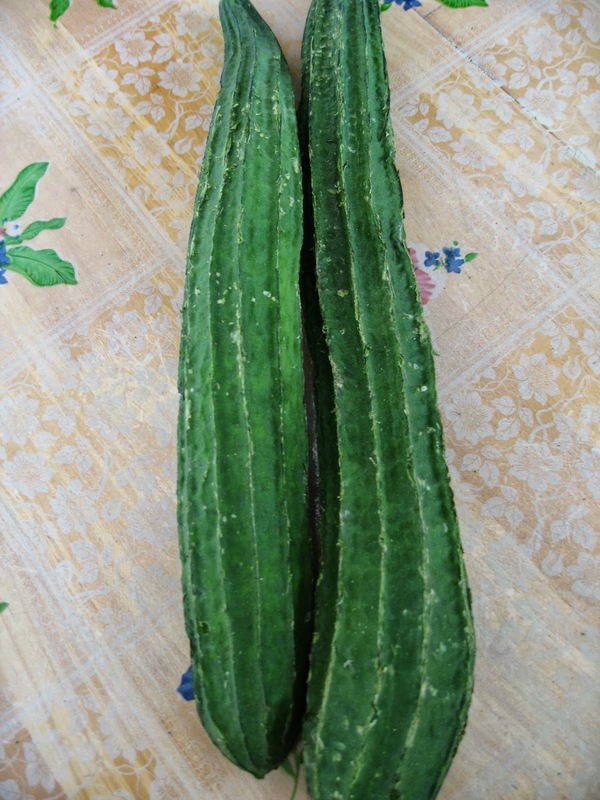 Ridge gourd is also known as luffa or loofah. 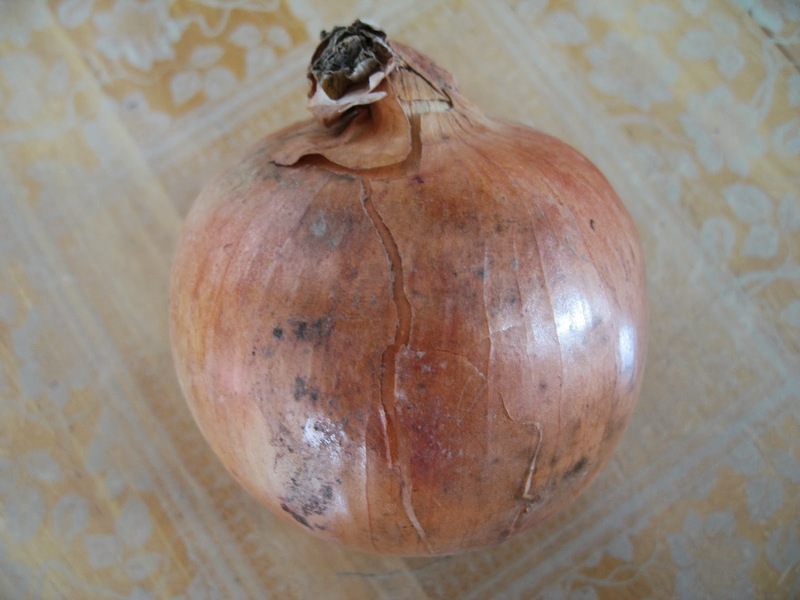 It is reported to be low in saturated fats and cholesterol, high in dietary fibre and rich in vitamins and minerals. This is how my mother used to cook ridge gourd. 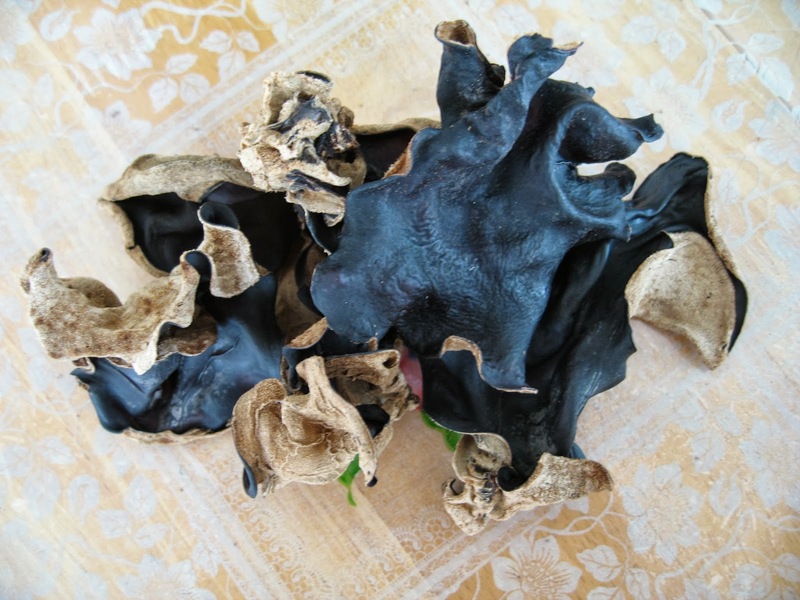 However, she used "wan yee", a type of black fungus which is thinner in texture than the black fungus which I am using. Serve this with hot steaming rice. Very appetising! 1. Heat wok and add cooking oil. 2. 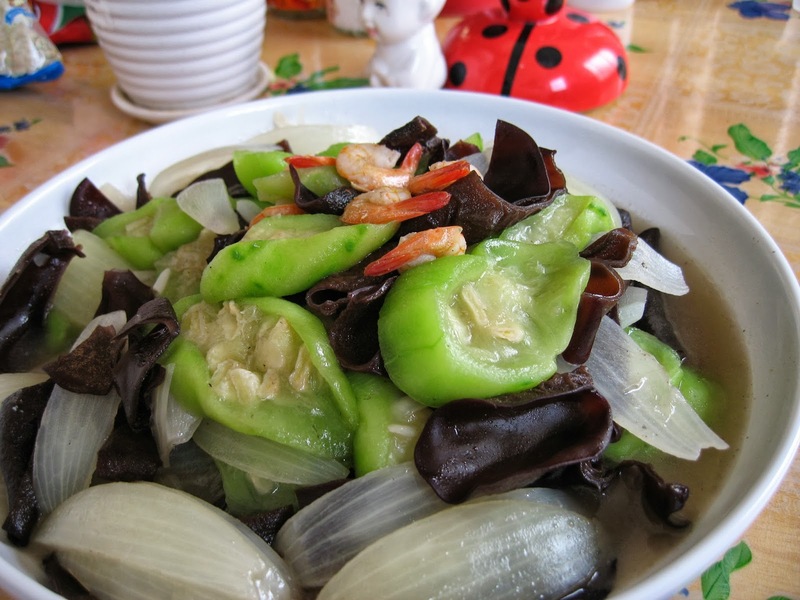 Add in onion wedges and stir-fry for 1 minute, then add shrimps followed by ridge gourd and black fungus. 3. Continue to stir-fry for 2 minutes, add in water. Let simmer until the water is almost dry. 4. Add in salt, sugar and pepper. Mix well. Thank you for sharing this with us. Indeed, I really loved reading articles about stir fry sauce and I learn a lot from the blogs I read before. This one is very different from the other recipes I saw before and I'm so excited to taste this one. Keep sharing!. 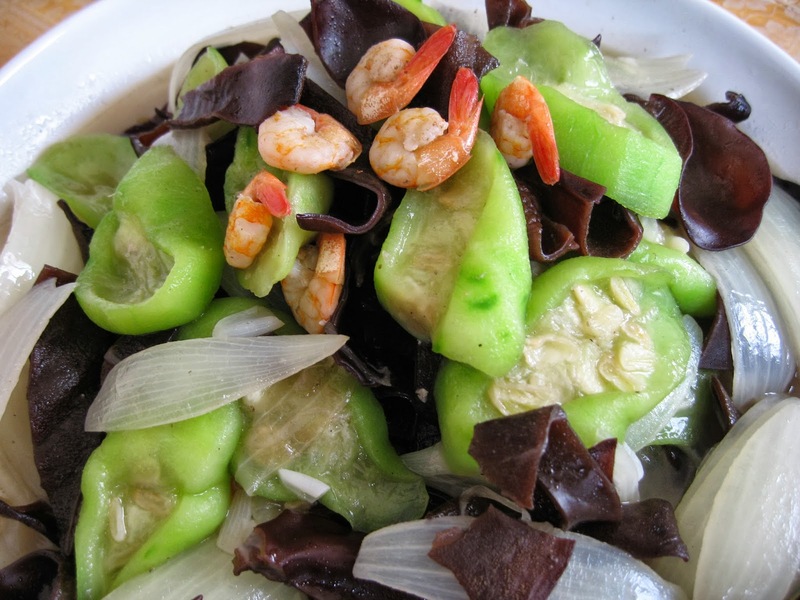 I am glad I provided a different method of cooking ridge gourd. Hope you like it.